IMPORTANT: AirStrip OB is intended for use by Obstetricians who deliver babies. In order to use AirStrip OB, the hospital you practice at must have purchased and installed the AirStrip OB system. There is also an off-line demo built into this application to allow you to learn more about the features AirStrip OB has to offer. Would you like to see the fetal heart tracing ("strip") from virtually anywhere? 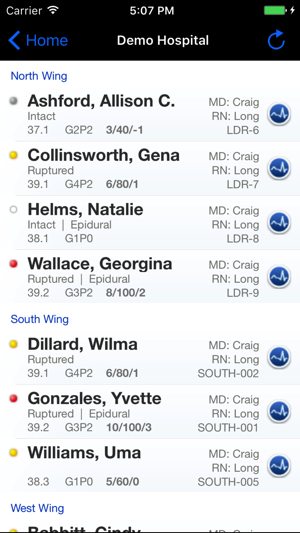 Also part of the AirStrip ONE enterprise healthcare mobility solution, AirStrip OB allows you, the Obstetrician, to securely log on to a hospital’s Labor and Delivery unit and see virtual real-time waveform data as well as other patient information on your iPhone! Anywhere you have a cell phone or Wi-Fi connection, you can view the patient census as well as other pertinent patient data such as nursing notes, vital signs, labor status, physical exam and maternal/fetal waveform data. 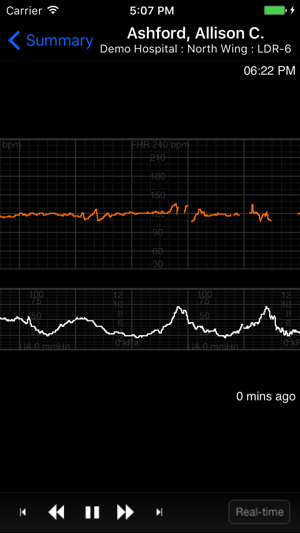 You can also scroll through historical data and rotate to landscape to review even more of the fetal heart tracing. While not intended to remove care from the bedside, AirStrip OB is a useful tool for Obstetricians whose daily demands may necessitate their periodic absence from the Labor and Delivery environment. AirStrip OB — Be There From Anywhere! © 2013 AirStrip Technologies, L.P.